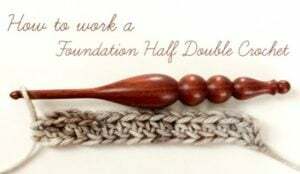 The foundation half double crochet is a great way to start your projects when you want a nice stretchy edge. And this photo tutorial shows you step by step on how to make it. If you enjoyed this tutorial you might also enjoy more tutorials and designs by Petals to Picots.